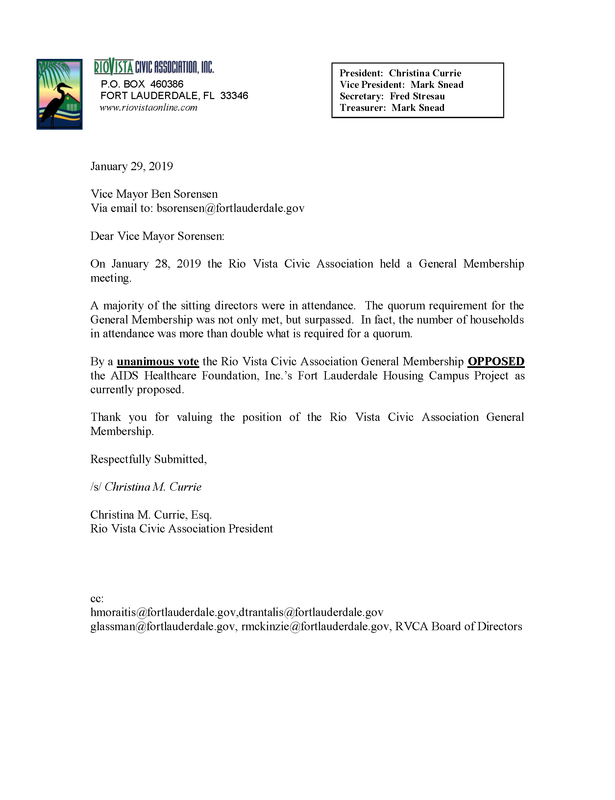 Welcome to the Rio VIsta Civic Association! Help make Rio Vista a safe place to live. Join us for our many events during the year. We currently have 325 households out of the 1,000 homes in Rio Vista participating. This allows us to schedule the patrol for approximately 8 hours per day 365 days per year. 15 MONTHS & 52 ARRESTS!! 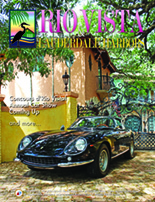 THANK YOU FLPD & PROTECT RIO VISTA!! 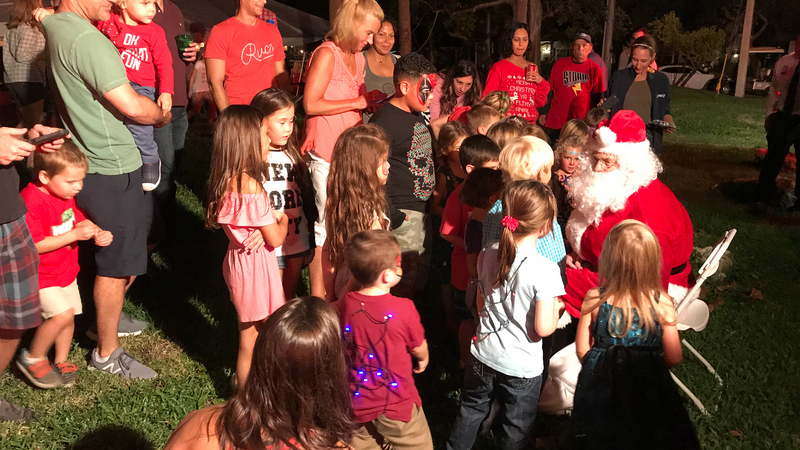 Recently I have witnessed and heard of some Rio Vista residents questioning the seriousness of the work the Protect Rio Vista Patrol/Fort Lauderdale Police officers are doing in our neighborhood. In an attempt to quantify the work FLPD does for our neighborhood I performed a public records request where I requested “a list of individuals who were arrested in Rio Vista in or arrested outside of our neighborhood from 8/24/2017 to 12/5/2018 where the arrest was stemming from "alleged criminal acts" that took place in Rio Vista”. 12 of the 52 arrests were of a person 17 or under, the youngest being 13. The month with the highest number of arrests was January 2018 with 7 arrests. For more details, including mug shots, please follow the link to read more. FDOT has cancelled the project to consider a pedestrian crossing over the New River! Vice Mayor Sorensen posted this on FaceBook this morning: FDOT was exploring the possibility of an expensive pedestrian bridge over the New River. I encouraged the City Commission to oppose it and to communicate our unanimous opposition to this proposal. We did, FDOT heard us and FDOT has withdrawn the project. Thank you FDOT! 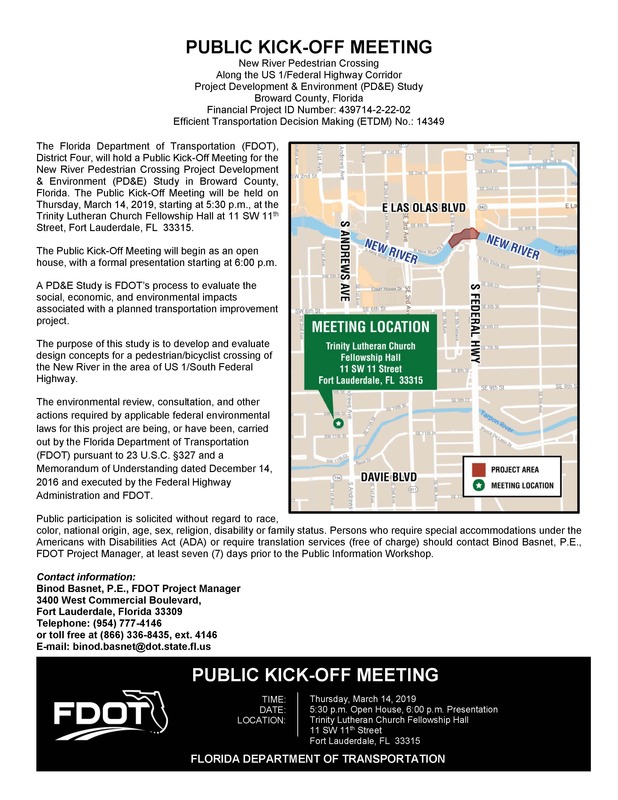 The Florida Department of Transportation (FDOT) District Four is hosting a Public Meeting to learn about the Project Development and Environment (PD&E) Study for the New River Pedestrian Crossing project. A PD&E study is FDOT's process to evaluate the social, economic and environmental impacts associated with a planned transportation improvement project. The purpose of this study is to develop and evaluate design concepts for a pedestrian /bicyclist crossing across the New River in the area of US 1/South Federal Highway. 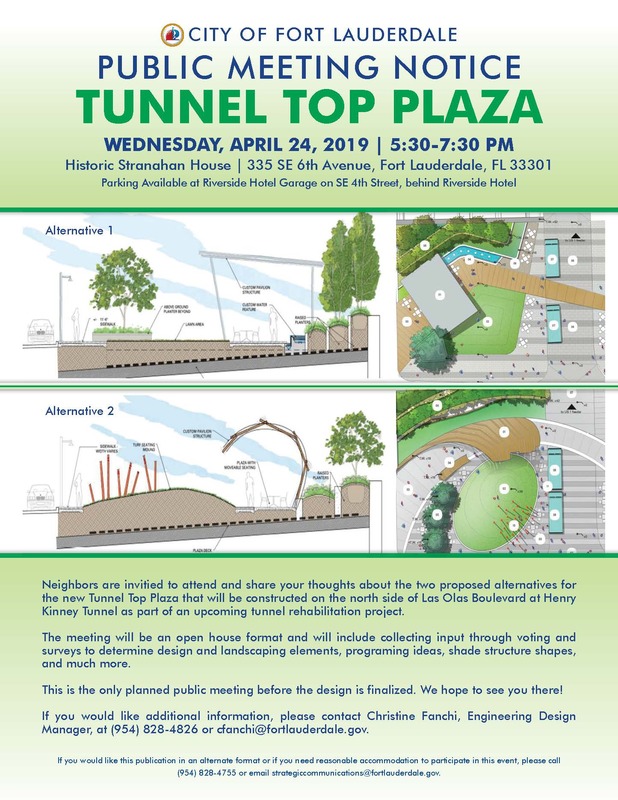 The city conducted a public meeting on February 26 (presentation below) to discuss and receive public input on the seawall replacement along Cordova Rd. and the proposed new Dock Use Permit ordinance. Significant changes were made to the proposed ordinance from the first discussion at the Marine Advisory Board. The primary one was clarifying that ONLY the upland parcel property owner would be eligible to apply for a permit. Previously, neighboring parcels would be given that opportunity as well. The new language only allows for neighboring parcel owners to apply if there is no direct upland parcel (think street ends.). You can read the full ordinance below with the public discussion link. The next step will be another hearing with the Marine Advisory Board. We will post time and date when available. The city has also put up a dedicated page for information related to this project. Follow the link below. 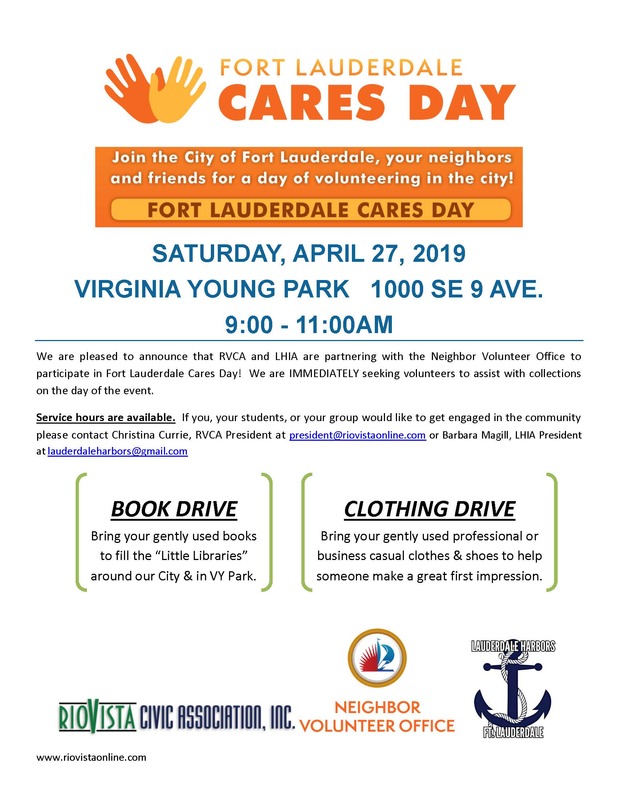 The city of Ft Lauderdale is holding a special election on March 12 for two bond issues, one for Park Improvements and a second to build a new police station. The following communication was sent to the city commission to inform them of the vote taken at our general meeting on the 28th. Over 100 households were represented! The biggest turn-out ever, thank you to all. 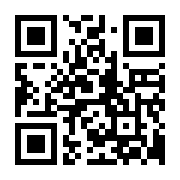 The link below will take you to the presentation given by Vice Mayor Sorensen and staff at City Hall on January 7th. 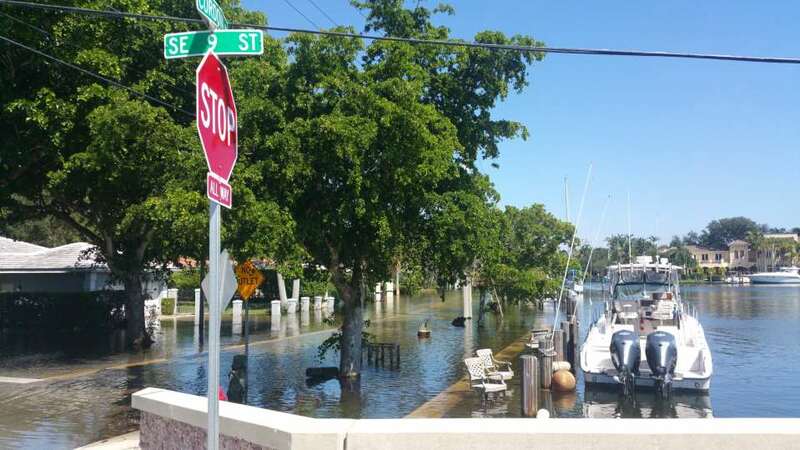 Lauderdale Yacht Club, Inc. is requesting Site Plan Level III & Conditional Use approval to expand the LYC clubhouse & improve layout/drainage for adjacent surface parking lot. Matter will be before Planning & Zoning on 1/16/2019. Property address below. Some quick links to help you find what you need. We also have more under the menu option City/County Info.